How long have you been performing on stage? My first show I ever did was through Yorba Linda Spotlight. I was in sixth grade. 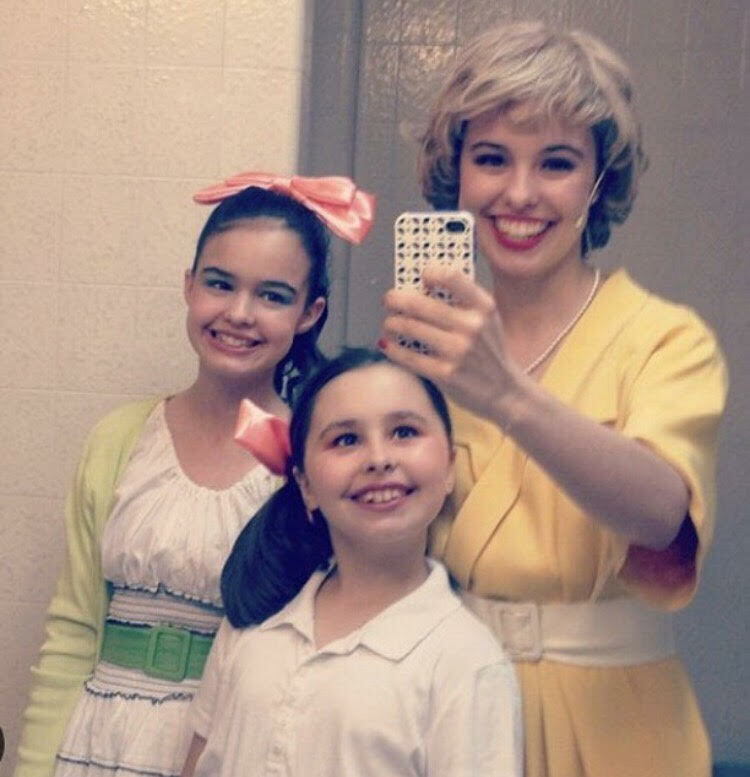 I saw my sister in the musicals Hairspray and Les Miserable. I was so amazed by everything that I knew I wanted to be a part of it. Seussical will have been my 9th show. What was your first show at Yorba Linda Spotlight? My very first show at Yorba Linda Spotlight was Beauty and the Beast. I had found out that they were doing it in 2014 and I was so excited. Beauty and the Beast was always my favorite musical and it was always my dream to be in the musical. From what my sister had told me, I knew that Spotlight would make such a fun experience for my first step into musical theater. Why do you like performing in shows at Yorba Linda Spotlight? I like performing in shows with Yorba Linda Spotlight because of the family that is there to welcome you. My first audition ever was at Spotlight, and I was so scared to walk in and perform in front of someone else. I felt so comforted like I had done everything right. That feeling of a comfortable family has always stayed with me in every show I’ve done here. The directors just make every rehearsal and show feel amazing, almost as though you are on a real Broadway show. What is your dream role? My dream role is to be the Narrator character in Into the Woods. 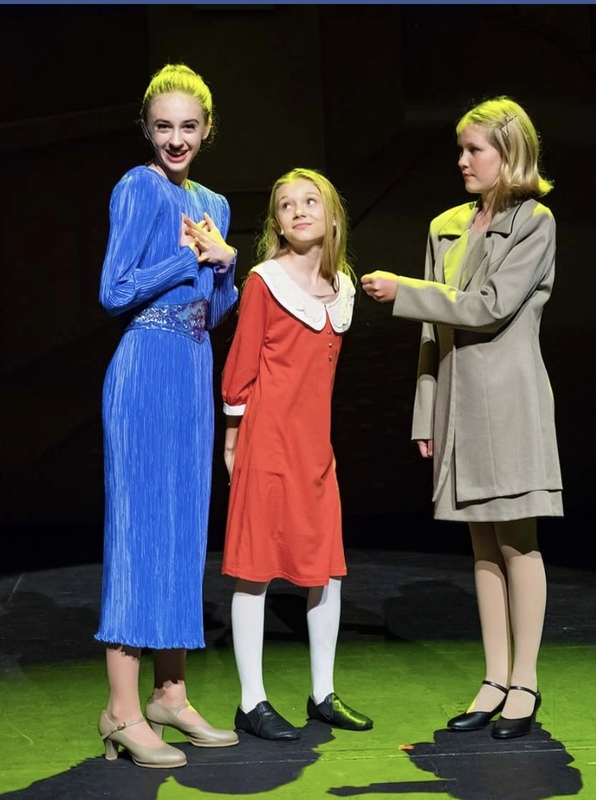 It is one of my favorite musicals of all time and I think it is one of the most unique roles of all musicals. It is a role that tests the capability of an actor and challenges them. I want to give myself a challenge and be able to play that role someday. Of the roles you’ve played, which has been your favorite? Of all of the roles I’ve played, I would have to say that my favorite would be Oz in the Wizard of Oz. It was the first time I was truly challenged in playing a role as I had to learn long monologues to play the part. It was also exciting to get fun effects added to my character such as a deep, booming voice. A very close second would probably be my first main lead as Schroeder in You’re a Good Man Charlie Brown. 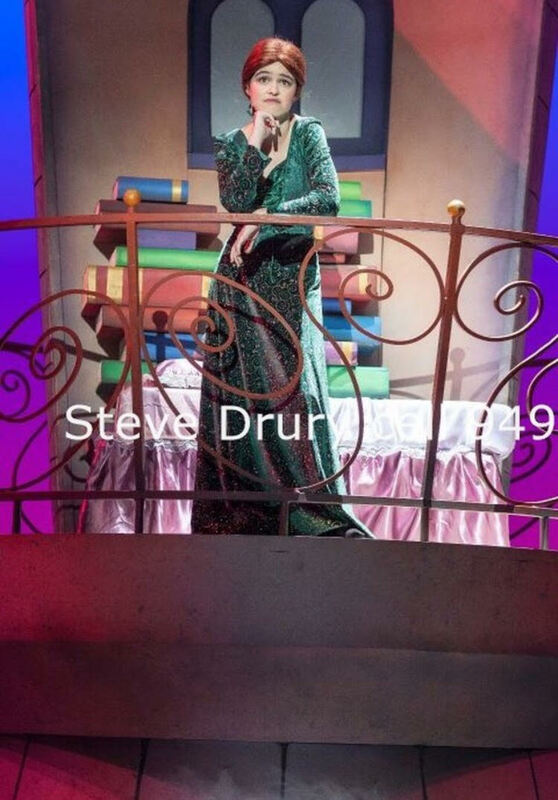 It was so much fun playing a lead in one of my favorite musicals. Has Spotlight helped you grow as a performer? If so, how? Spotlight has been my only theater company, and so I have to credit it with all of the skills I have learned to become an actor. They have been the ones to teach me how sing, dance, and act from very silly roles, such as a lost boy in Peter Pan, to more serious roles such as a wolf in Beauty and the Beast. Spotlight has been the biggest contributor to my stage performing skills and I thank them for how much they have helped me grow. What do you like to do when you’re not performing? When I am not performing or rehearsing for a show, I am usually at Disneyland with friends and having fun. Disney was one of the places that inspired me to perform for people. I visit it so much that people have said I am a Disney expert. I am also a big participant in my school’s choir and football programs. If you could choose a show for Spotlight to produce, what would it be and why? One show that I have always wanted Spotlight to do is Little Shop of Horrors. It is such a unique show and it has so many different kinds of parts. I know Spotlight would make the musical something beautiful that would bring true emotion to the story. 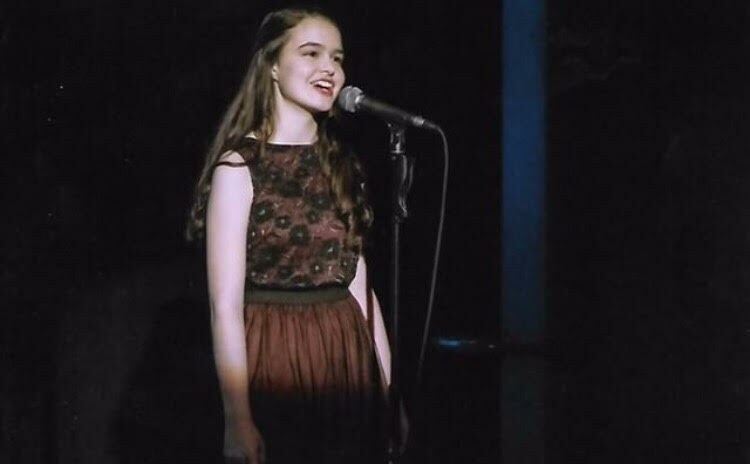 I have always had a love for the musical and I would love to perform it at Spotlight. What are your strongest and weakest traits as a performer? One of my strongest traits as a performer would be the ability to keep energy up for every show and keep it through the entire show. My weakest trait would probably be my ability to learn lines quickly. I tend to procrastinate with learning my lines with blocking, but throughout the years, I have started to grow out of that phase and learn my lines on time for rehearsals. Of Spotlight’s past shows, which was your favorite and why? 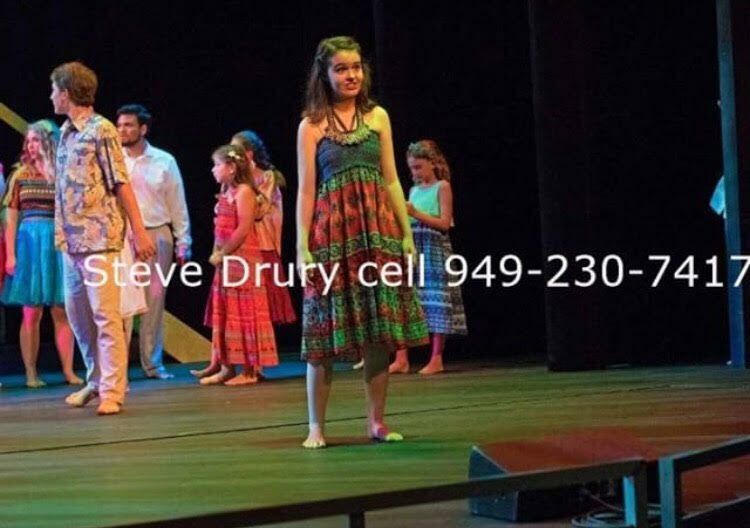 My favorite show that I’ve been a part of at Spotlight is Once On This Island. I was a storyteller who brought the audience through the story. It was a such a unique show and it is where I really started to grow as a performer. Thanks to the directors, I learned how to learn many lines, different harmonies, and quick change behind the scenes. I met many of my friends through the show and I have stayed close with them since. Anything else you want to say? All I want to say is Thank You to Spotlight for teaching me how to act, sing, dance, and be a part of a family. From all of the performers to directors, you have shaped me into the performer I am today. I feel so lucky that I was able to meet so many amazing people through this place. How long have you been performing on stage? I have been performing since Kindergarten. My first role was a Lost Boy in my school’s production of Peter Pan. I have done 14 Spotlight productions, and 9 school productions. What was your first show at Yorba Linda Spotlight? 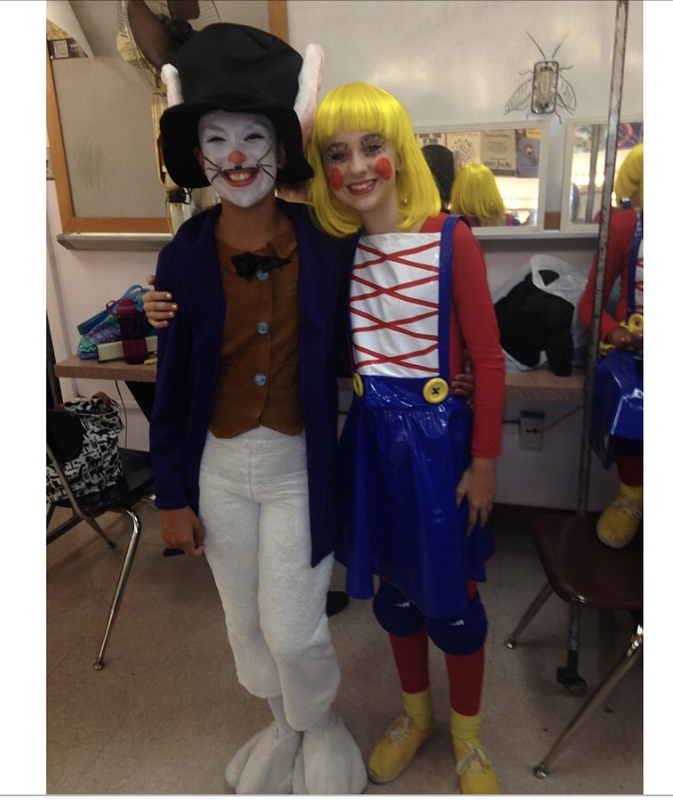 My first show with Spotlight was the time they did Alice in Wonderland in 2013. I was a rock lobster. A very confused rock lobster, but still a rock lobster. Why do you like performing in shows at Yorba Linda Spotlight? I always enjoy being part of this huge family Spotlight creates. We do get competitive during auditions, but when the results come out, we are supportive of each other. Even if our friends got the role we wanted! What is your dream role? 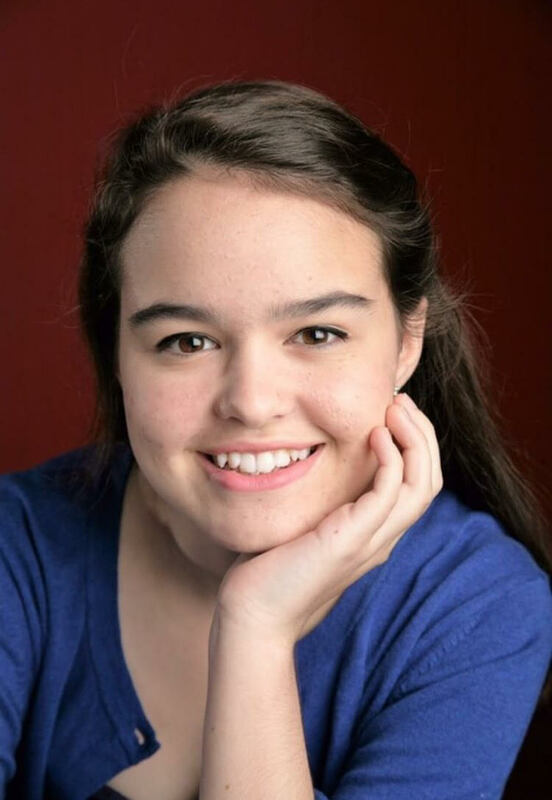 My dream roles are Christine Daaé from Phantom of the Opera, Angelica Schuyler from Hamilton, Donkey from Shrek, or Katherine Plumber from Newsies. Of the roles you’ve played, which has been your favorite? My favorite role would have to be Doug the drummer from School of Rock. I got to learn drum set for a song, and I still am annoying my family with my continuous tapping. Has Spotlight helped you grow as a performer? If so, how? Spotlight has definitely helped me grow not only as a performer, but as a person. My mom got me into musical theater to boost my confidence, and without Spotlight I would be that timid girl in the corner reading. What do you like to do when you’re not performing? At school, I am part of the band, and mock trial through my Language Arts class. I also really enjoy playing my trombone, reading huge novels, and playing with my little brothers. If you could choose a show for Spotlight to produce, what would it be and why? I would love for Spotlight to produce The Music Man. I love the music, mostly the song “76 Trombones”! I think it would be performed well by all the amazing actors and actresses at Spotlight. What are your strongest and weakest traits as a performer? My strongest point is that I am a reliable performer. I can memorize my vocals, the script, and my choreography and remember them even after the show is over. My weak point is my flexibility. I can dance, but my body tells me otherwise! Of Spotlight’s past shows, which was your favorite and why? I don’t really think I have a favorite, I enjoyed all of them. The ones that stand out to me the most are Shrek because of the makeup, Mary Poppins because of the British accents, Once On This Island because of the close Cast relationship, The Wizard of Oz because of the amazing costumes from the 1998 revival, and The Addams Family because of the humor involved. Anything else you want to say? To all future performers out there, no matter what, just keep going. When you mess up, keep going. Learn the script by heart so you can help your friends if they mess up. That is what makes live theatre so special. It’s not about the mistakes, it’s how you recover from them. How long have you been performing on stage? I have been performing on stage since I was 3; I did ballet and tap. Later, I started doing jazz and lyrical dance lessons and then I found my love for musical theatre which I’ve been doing ever since! What was your first show at Yorba Linda Spotlight? My first show at Spotlight was Peter Pan in 2015. I had heard about Yorba Linda Spotlight and how they were having auditions for Peter Pan which sounded so fun. I decided to audition and I am so happy that I did. Why do you like performing in shows at Yorba Linda Spotlight? I like performing in shows with Yorba Linda Spotlight because everyone creates an amazing bond and it’s so fun for me to do what I love with so many great people. I like being a part of shows because I love to express myself (by singing, dancing, acting, etc.). What is your dream role? My dream role is probably Galinda in Wicked, Ariel in The Little Mermaid, or Charity Barnum in the Greatest Showman. I love all of these shows and think it would be so fun to be challenged by those roles. Of the roles you’ve played, which has been your favorite? 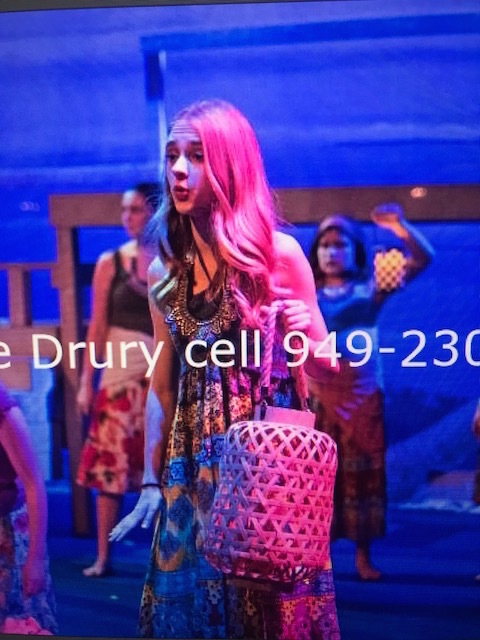 My favorite role that I’ve played is Gertrude McFuzz in Seussical. I’ve loved learning all the singing and dance numbers in this show! I love that Gertrude is also very unique and quirky; it’s fun to be creative and think of different ways to put a little bit of my personality into the character. Has Spotlight helped you grow as a performer? If so, how? Yes, Spotlight has helped me to grow as a performer so much. It’s made me feel much more confident in myself and my performing skills as an actress. If you could choose a show for Spotlight to produce, what would it be and why? If I could choose a show for Spotlight to produce, it would probably be Bye Bye Birdie. I love that show; the music, the costumes (the 50’s era), and the story! I also think it would be fun if Spotlight produced Grease or The Greatest Showman. What are your strongest and weakest traits as a performer? As a performer, one of my strong traits is that I can put myself into other people’s shoes which helps me a lot with acting and understanding my role and other’s. I think I have become a stronger singer over the years as well. One of my weak traits is that I don’t always have enough energy when performing on stage which is one thing I really try to work on. Of Spotlight’s past shows, which was your favorite and why? My favorite Spotlight show that I’ve been in was probably Peter Pan. The cast was so close, we were like a family. The show was just ‘magical’ too! I loved the music, the sets, and how Peter, Wendy, John, and Michael actually got to fly! Why do you like performing in shows at Yorba Linda Spotlight? The cast and the crew and everyone at Spotlight is so sweet and helpful and they are like family. What is your dream role? Frankie Vali in JERSEY BOYS or Billy Flynn in CHICAGO. Of the roles you’ve played, which has been your favorite? Definitely Mal in Addams Family because he has such a drastic change in character from the first scene to the last scene. Has Spotlight helped you grow as a performer? If so, how? For sure because before spotlight I had never been cast in a lead role, so Spotlight helped with my self confidence and really peaked my interest in theater. What do you like to do when your not performing? I like to be active, so I will go to the gym or trampoline parks but mostly when I’m not at Spotlight rehearsal, I’m most likely at OCSA rehearsal. If you could choose a show for Spotlight to produce, what would it be and why? Probably Charlie and the Chocolate Factory because it’s such a fun show. What are your strongest and weakest traits as a performer? My strongest trait is probably my comedic timing/sense of humor and my weakest trait is the fact that I can’t keep a straight face during scenes. Of Spotlight’s past shows, which was your favorite and why? Addams Family because the cast was the closest cast that I have ever encountered. Anything else you want to say? Spotlight has really changed my life and I think that Side Show is going to be an amazing show that everyone should come see. How long have you been performing on stage? 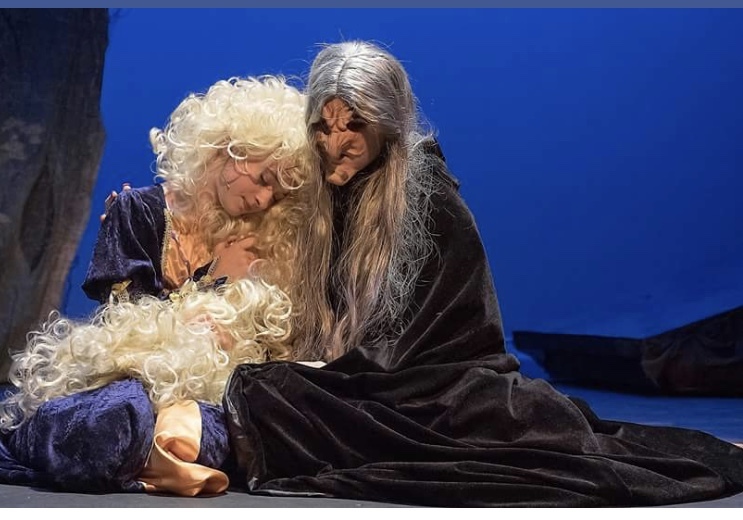 I have been performing since I was 10 years old, my first show was Beauty and the Beast. Addams Family will be my 10th show at Spotlight. What was your first show at Yorba Linda Spotlight? My first show at Spotlight was Beauty and the Beast, I was a villager. I watched all the older actors and I knew that I wanted to be like them one day. That show really started my love for musical theatre. Why do you like performing in shows at Yorba Linda Spotlight? They are such a professional theatre company and always put on a top quality show. The directors are so supportive and they are awesome teachers. Whether you have a lead or supportive role the cast always encourages each other. I have learned something new from every show I’ve performed in. My confidence has grown as a performer and as a person. I have made so many great friends at Spotlight. What is your dream role? That’s such a hard question because there are so many good roles out there. I would have to say Willard from Footloose, I love the song Mama Says. But if I’m being serious, Jenna from Waitress would be my dream role. She is such a complex character and it would be a challenging role. Of the roles you’ve played, which has been your favorite? Definitely Wednesday Addams! I love the dynamics between all the Addams Family characters. The show is very funny and surprisingly sweet. Wednesday is relatable and a really fun character to play. I can’t wait to perform as her onstage! Another past favorite role was being a Storyteller in Once on this Island. Once on this Island was such a special story to tell. Has Spotlight helped you grow as a performer? If so, how? Definitely! There are many amazing performers at Spotlight and I have learned so much from watching them over the years. The directors have really helped me with developing my acting skills. What do you like to do when your not performing? I enjoy sketching and painting in my free time. Art is a strong passion of mine. I also play piano and write songs with my friends. I love going to shows, whether it be community theatre or touring productions. Like most teenagers, I am always hanging out with my friends. If you could choose a show for Spotlight to produce, what would it be and why? I really like comedies, so I would choose Spelling Bee. I think that show is hilarious. Another one of my favorites is a well known classic, Les Miserables. It would be great if Spotlight could produce that one again. What are your strongest and weakest traits as a performer? My weakest trait would be dancing. I’ve been taking more dance classes this year to improve my skills. The classes have definitely helped me and I’m a little more confident. My strongest trait would have to be singing. 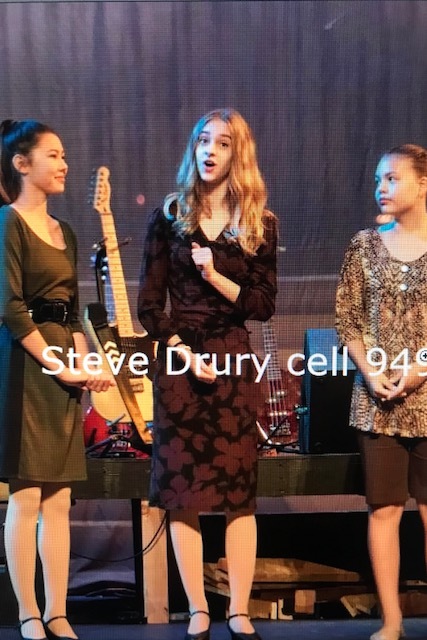 I’ve been taking voice lessons since I was 9 years old. Last year I started belting, and I’m working on developing that part of my voice. Anything else you want to say? I want to say a big THANK YOU to Spotlight! Thank you for the amazing opportunities and helping me grow as a performer. I am so blessed to have met so many amazing people. I’m looking forward to making many more memories, and being a part of more awesome shows! How long have you been performing on stage? I’ve been performing on stage since I was about 3 or 4. I started by taking dance classes and performing in dance recitals. When I was 8, I joined a children’s choir, and when I was 11 I did my first full length musical, at Spotlight! What was your first show with Yorba Linda Spotlight? My first show with Spotlight was The Wiz in 2011. 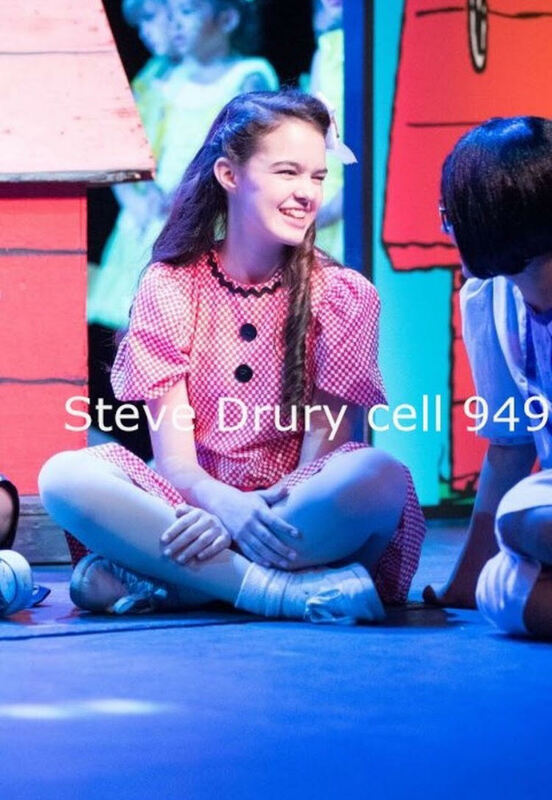 I auditioned with my older sister who had just done Spotlight’s last show, Thoroughly Modern Millie. After seeing her in that show I knew I wanted to be in the next one, but I was so nervous at the audition that I forgot all of my lyrics. Fortunately Melissa Staab, the director, sang with me until I remembered them again! Why do you like performing in shows with Yorba Linda Spotlight? I love performing in shows with Spotlight because of the level of professionalism present and the people involved. The directors and staff are always kind and considerate but also uphold a high standard of professionalism at all times. This spirit translates to the cast. Everyone supports each other and encourages each other to be the best they can be. I always have fun in a Spotlight show and always come out of it learning something new about myself and my craft. What is your dream role? Some of my dream roles are Ella in Cinderella, Lily in The Secret Garden, and any of the March sisters in Little Women. Of the roles you’ve played, what has been your favorite? My favorite role that I’ve played is probably a Lead Storyteller in Once on This Island. Once on This Island is a beautiful show and a fun ensemble piece. I sang a small but special solo during Ti Moune’s final monologue. That scene was always emotional and without a doubt my favorite part of the show. Has Spotlight helped you grow as a performer? If so, how? Spotlight has helped me grow as a performer exponentially. When I was younger, watching the older kids at every rehearsal was like a masterclass. Since then, I’ve learned to always be open to new ideas and never stop growing. Spotlight also taught me how to conduct myself in a professional manner in any situation. What do you like to do when you’re not performing? At my high school I am very active in both the choral program and theatre department. When I am not at rehearsal I like to spend time with my family and eat delicious desserts. If you could choose a show for Spotlight to produce, what would it be and why? I would choose She Loves Me. It has a wonderful score and complex characters, and I think it would be lots of fun! What are your strongest and weakest traits as a performer? My strongest trait as a performer is preparation and organization. My weakest trait as a performer is that I am a perfectionist. Of Spotlight’s past shows, which has been your favorite and why? My favorite of Spotlight’s past shows that I’ve done is either Hairspray or Bye Bye Birdie. I got to be in these shows with both of my sisters, so they will always have a special place in my heart. Anything else you would like to say? Thank you to the Spotlight directors and staff, past and present, for all that you have given me. I am so grateful for my time at Spotlight and all that I have learned. And thank you to my family and all the Spotlight families who do so much to help their children shine on stage.